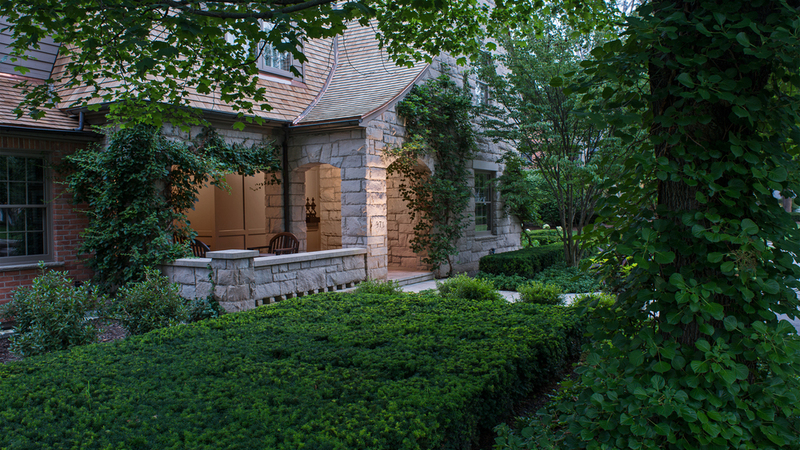 After twenty years, the owner was ready for a major site and landscape renovation. 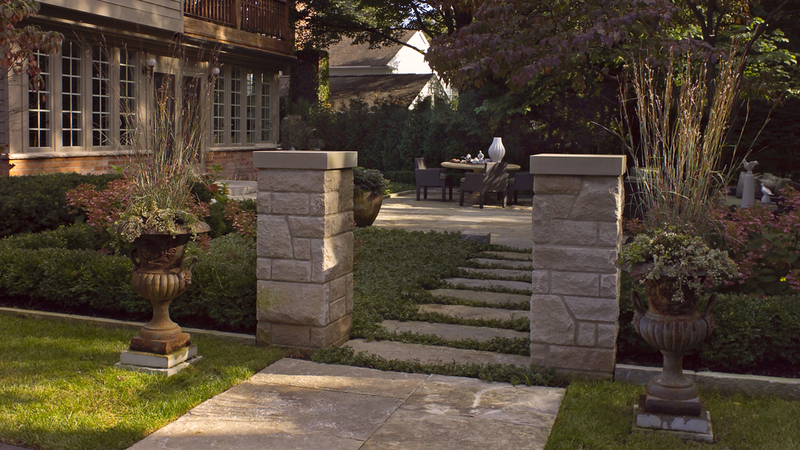 The design intent was to provide an environment where the new plantings appear mature and comfortable with its established surroundings. 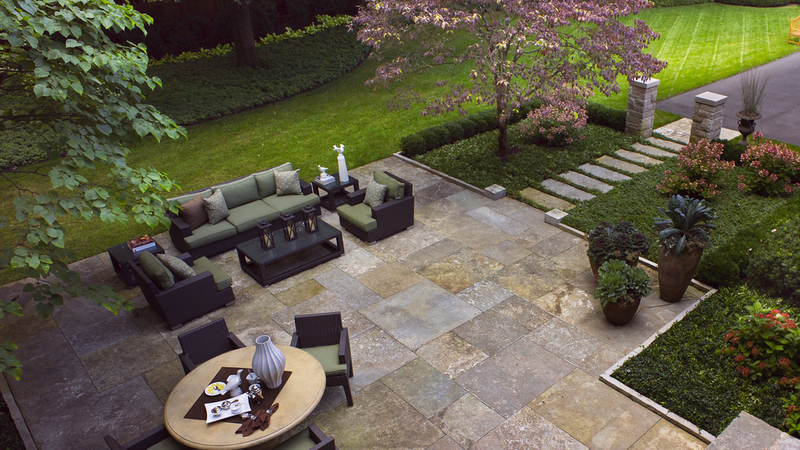 The hardscape for the rear yard living space was constructed from large milled slabs of Lake Superior limestone and arranged in a random rectangular pattern. 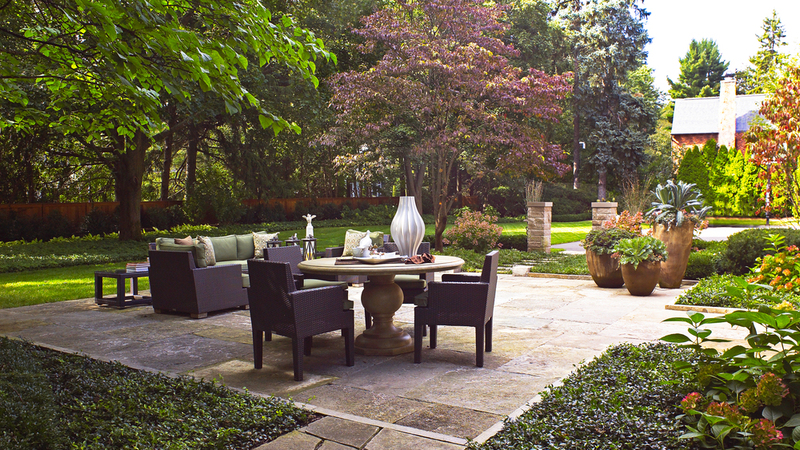 The intimate garden patio provides for social entertainment while affording the pleasure of viewing the elegance of the overall rear yard space.